When I first discovered David Lynch’s Twin Peaks some ten years ago, I was hooked from that first lilting chord of the opening theme, a Pacific Northwest lullaby that dreamily pulled back a red curtain to reveal the mesmerizing realm of sawmills, Douglas firs, cherry pie, secrets, metaphysics, owls, murder mysteries, eccentricities, FBI Agents, roadside diners and so much more. There was nothing quite like it under the sun. Lynch had tapped into the intangible flavour in the ice cream parlour, an undefinable conduit to the subconscious, an emotional fever dream of haunting music, beautiful storytelling and vivid, compelling character arcs, and I knew from that moment on I’d be living in this world, in whatever capacity, for the rest of my life. Since then I’ve seen the entire run of seasons one and two at least thirty to forty times, and watched Fire Walk With Me, Lynch’s big screen masterpiece and companion song to the show, even more. Twin Peaks is the one thing I can revisit at any crux of the story, during any phase of my life, and it will always draw me right back in like the beckoning grove of sycamore trees who stand as sentinels to the great beyond lying just around the bend in the woods. There was just one problem with it all: the show was tragically cancelled on the penultimate beat, a cosmic cliffhanger that left fans reeling and plunged the legacy into exile for decades, a vacuum left in air that once housed a worldwide phenomenon, which is the only way to describe what season one did not just for television, but for the arts themselves, a thunderous ripple effect that has inspired generations of fan culture and adoration. To quote another film that finds its home in the trees, “If you ride like lightening, you’re going to crash like thunder”, which in a way is what happened to Twin Peaks. That lightening was captured in a bottle, which unfortunately shattered to shards via a combination of network interference and creative differences. Needless to say, the thought of a possible return to the show was beyond low on my list of things that could happen, right down there next to dinosaur cloning. Life finds a way though, and so apparently does Lynch. When it was announced that he had struck a deal with Showtime for an epic eighteen episode return to those Douglas firs, the internet nearly imploded upon itself. 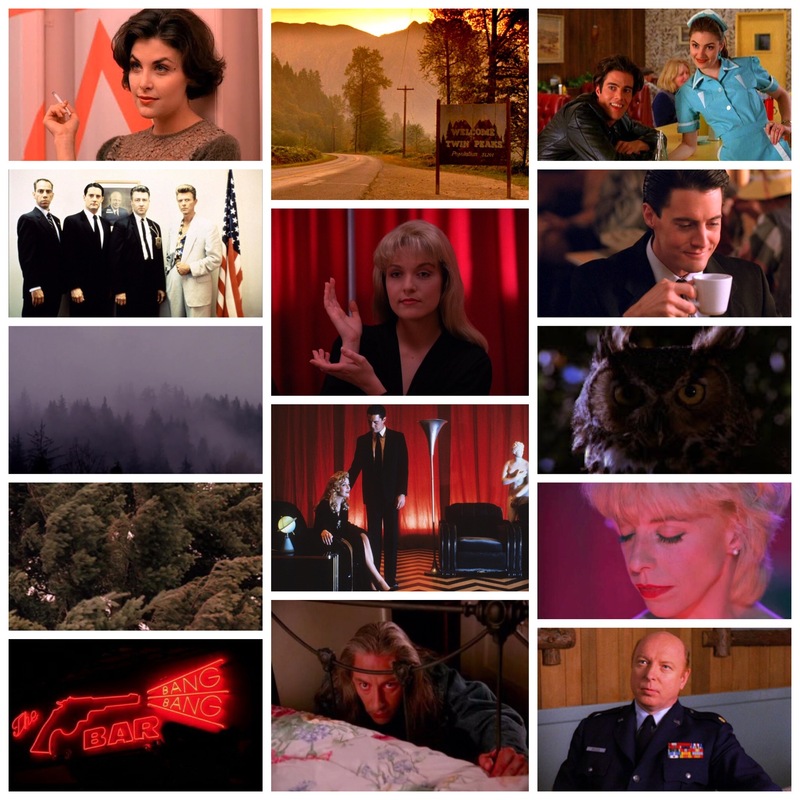 The golden age of television had just gone platinum, for Twin Peaks is the cornerstone of a generation of storytelling, a mile marker of stylistic structure and expression that gave life to countless other legacies in its wake. If any fragmented, incomplete tale deserves another day in court, it’s Peaks. For a while we sat on our hands and held our breath, the words ‘too good to be true’ ringing around in our heads. After a few hitches in the giddyup, however, and some three years of development later, we have arrived on the day that the new season premieres, and it still hasn’t set in for me. Eighteen brand new episodes. All written and directed by the man himself. A titanic sized cast of Twin Peaks residents both old and new, from every walk of Hollywood, genre town, music world and indie-ville. It definitely does seem to good to be true, and yet here we are, on the eve of a television paradigm shift. Any new fans who have hurriedly made their way through the original series run for the first time should pause for a moment and realize just how infinitely lucky we are to get this, how special this truly is, and will be for the entire summer. I feel as though this will be the second wave of Lynch’s magnum opus, a stroke of creative brilliance that has come full circle, and in just a few hours time those beloved chords will once again flow out from our television screens, as the journey continues onward to a destination whose coordinates Lynch guards like Pandora’s Box. Come what may, I will be tuned in to whatever the man and his team of actors, artists and musicians have in store for us. See you in the trees. Previous PostRidley Scott’s ALIEN: COVENANTNext PostPonsoldt’s polarizing ‘The Circle’ serves a conflicted, timely message.